Vipers SC have captured the signature of Uganda cranes striker Hamis Diego Kizza on a 2 years contract. Kizza has been a free agent since 2017 when he left Ethiopia’s Fesil Kanema under unclear circumstances. The right-footed Striker becomes Vipers’ second signing this month after taking on Innocent Wafula from Gor Mahia FC, Kenya on a undisclosed fee. Kizza has spent most times with the Kitende based side, training with the first eleven and set to join the striking line of Dan Sserunkuuma, Tito Okello and Davis Kasirye. It is believed that URA FC were also interested in the striker to boast on their striking line but Vipers SC left them hanging. 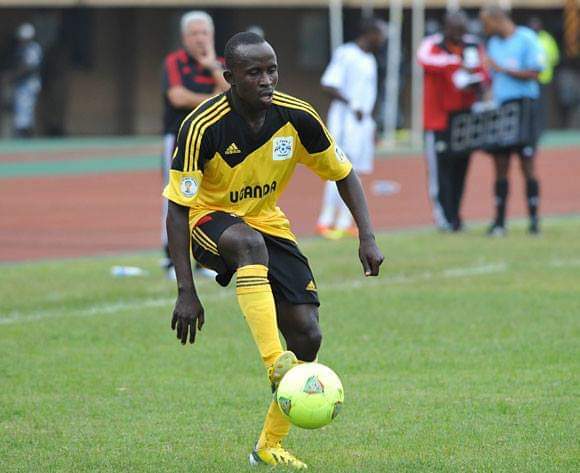 Kizza has formerly plied his trade with URA FC, Simba FC, Tanzanian Giants Yanga FC and Ethiopian side Fesil Kanema. Vipers SC are currently 2nd on tbe log with 29 points and will face Tunisian outfit Sportif Sfaxien on January 12th in the 2019 Total CAF Confederation Cup first leg playoff.